Apple's next big developer event starts on June 4th and it will be the first look at iOS 12 anyone has seen. While there are many rumors that will be presented at WWDC 2018, Apple is mainly working to squeeze bugs and make iOS as seamless as years ago. Still, we hope Apple will add these features to iOS 12, but to be honest, we're not holding our breath. 0 and iOS 11, but never made the cut. Hopefully Apple pays attention to it this year. It's 2018, and there's still no universal Dark mode for iOS, something that we and other users have long been asking since . An official dark mode would turn all bright white elements into a dark color, which would be an excellent option for those who do not like or just want to use Night Shift in bed. Apple has added some "dark" elements already in iOS, like the iTunes Store and automatically in the keyboard, but a system-wide dark mode would be much appreciated, even though it's something that app developers need to add to their apps, to work with a universal control. iOS 11 added a "Smart Invert" option that comes closest to a dark mode we got, but it's just not good enough. The iTunes Store App is not all in Dark Mode (left), but some of them are (right). Multi-view capabilities have been available for iPads for some time, and plus-size iPhones have been released late 2014. Why Can We Slide Over and / or Split View do not use on big-screen iPhones? ? It's definitely enough space, so it's likely that Apple considers these features only for the iPad, to get users to buy both an iPhone and an iPad, something that not everyone can or wants to do. We have requested this iOS 11, and it's still a big request for iOS 12, especially because it's something that Android already has for phones. FaceTime was released way back in 2010, yet eight years later you can still only have audio or video chat with just one other person. Last year, was rumored to appear in iOS 11 for up to five participants in a group call, but that never happened. This year is a sure thing (or is that it?). When we finally get it, we can even start group FaceTime calls directly from group chat to messages, and that alone would make it better for any third-party applications that already support group video or audio calls. While only iPhone X users can now use Animoji characters, they can become an Animoji character during a FaceTime video call rather than your cute cup, not just privacy, it will only be shallow fun. There will also be another way to persuade other users to a newer iPhone model, so it's like free advertising and probably the main reason why Apple includes it in iOS 12. For some reason, iOS 11 has removed the "wishlist" from the App Store, but left it intact on the iTunes Store app. Not cool, Apple, not cool. Unless you had iTunes 12.6 or lower or were immediately downgraded to iOS 10. There was no way to recover the apps and games that were already in your wish list. This could easily be fixed by adding it back to iOS 12 … even if it does not remember previous saves. Prior to iOS 10, there was an option to "throw away everything" in the mailbox inbox, but it is no longer there. There is a clever hack that brings back this functionality, but we should not have to resort to such things. I would love to see the "Trash All" option back, but not just for inboxes (which I find dramatic), but for folders and, above all, a search. Let's say you wanted to delete all emails from Groupon in your Inbox. You search for "Groupon" and then you can either select "Select All" and "Recycle Bin" or just "Recycle Bin". The former is fine for me. Everything is better than five minutes to delete 450 emails, as you can see below. No fun. Especially if you accidentally turn your device and it clears all your checkmarking progress. iOS 11 has repaired many things we hated the Control Center, especially a cleaner interface and customizable controls. However, Apple could improve on this last point by opening resources for third-party developers so that users can add controls to their apps just as widgets can be added to Today View. Yes, you can turn Control Center operations on and off, but you can not use these controls as a shortcut to access the specific settings in the Control Center App "Settings" to arrive. This is something that Android has had for a while, and definitely should be something that Apple copied from it. iOS 11 overhauls how the Wi-Fi and Bluetooth controls work in the Control Center, and it's still somewhat confusing. Of course, do not knock them off of course they turn them on and off – one tip will turn them off for 24 hours while another tip will turn them back on immediately. Maybe Apple can add a third tip … Tap once to turn it off for 24 hours, tap twice quickly to completely turn it off, and then tap again to turn it back on. While There is a voice transcription feature for voice mail on an iPhone. In the news app, there is no such possibility for audio messages . If you are in the library or in some other quiet place, you do not necessarily want to play an audio message aloud, so transcriptions can help you get the message faster. If you do not remember, Apple had a way to group notifications by app instead of by time alone in iOS 9, but it was removed in iOS 10 and came in iOS 11 never again before. We would like to make this choice again on iOS 12, as well as some other automatic options, such as sorting by relevance or priority. If Apple wants to compete against Android's notification screen, it needs that. This is another I asked last year, but only received disappointment. For me … Spam phone calls are getting out of hand and you can not rely on the Do not call list to save you. Apple [has allowed] Third Party Apps Block Calls [and/or warn you of possible spam calls] in Your Phone App [since 2016] but the good guys get paid, and they all need access to your contacts, which is not well received by many users. As a built-in feature, you can block a phone number on the contact's info screen. You can even type "spam" the name of the contact and add new spam numbers each time. But why can not you just do it?
. So why not swipe to the right to mark it as spam? Even a 3D touch action would work. We should not have to create our own spam box – it should be installed, especially since there is no way to block voice mail anyway. Yes, you can use apps like AT & T Call Protect for free to get alerts about possible spam calls, but it only works for AT & T customers. Other apps like Hiya Caller ID and Block work for every carrier and have free spam alerts, but Apple should bake some more warehouse controls to combat spam and fraud calls as well as text messaging. The mail app could also use a little more love in the "junk" department. There seems to be a recurring theme here where many of these wish list items were those that were searched for in iOS 10 or iOS 11, and a better volume control is another one fits this shape. 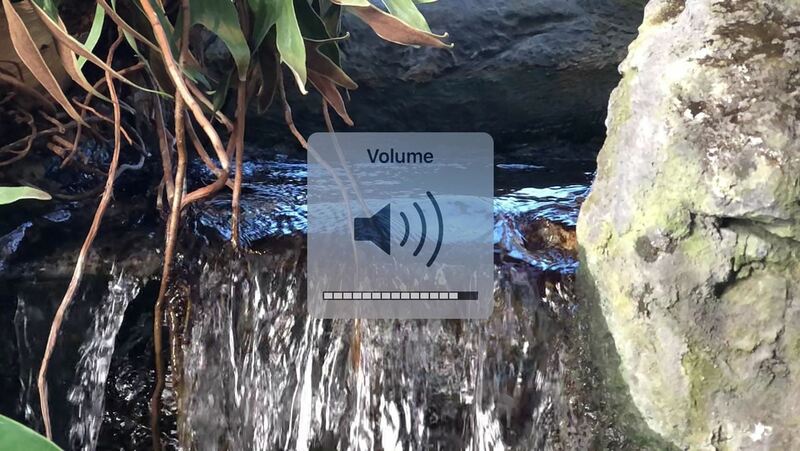 Many third-party apps have removed the annoying volume HUD (the pop-up "Volume" window with a prominent speaker icon), volume indicator, and transparent background), Apple has removed it only from some of their apps. For example, if you watch videos in photos, you'll still see the annoying HUD for the video lock volume, even displayed on the home screen. Just let us get rid of it everywhere. Thank you. Another item I've wanted for a while … a non-trick shortcut to turn off the flash Flashlight from the lock screen. The iPhone X has finally solved this problem by clicking a flashlight directly on the lock screen, but other iPhone models still need to swipe up the control panel to access the power button. Feature 15: Number Row in Keyboard 19659004] Gboard, perhaps the best third-party iOS keyboard, received an update on April 13 in which the first set of letters on the keyboard with options for long press or swipe. It's not a dedicated series of numbers, but it's still better than what Apple offers in its standard keyboard. Even if Apple had made this an opt-in feature, I would agree. We did not get it last year but hoped for salvation this year. Speaking of Gboard, another thing that Apple could learn from its competition is the ability to type. Even if this were an opt-in feature, it would be amazing and another reason to drop Gboard and other wipe-friendly keyboards and go back to stock. we asked last year, but never received. With all the cool new tools that iPads get in schools, Apple could at least open up an oldie goodie feature that iPads have been using in education settings for some time – "Shared iPad "- which was released in iOS 9.3 in 2016. I really hoped it would have a "Shared iPhone" option in iOS 11 (and iOS 10), but it never happened. And I know that I'm not the only one who wants that. Remember the day you can rate a song directly on the lock screen? Player? It's been so long since I can not remember when it was, but I know it was there, and I want that function back. I'm not sure how life would be without the "Clear All" 3D Touch gesture for notifications, and I'm sure all without 3D Touch will still be interested are just a long press gesture, especially since the iPhone 5S, iPhone 6, iPhone 6 Plus and iPhone SE are expected to receive all the iOS 12 update. In addition to the "Clear All" notifications for non-3D touch users, Apple could also give us an option to delete an app cache (not just for all apps at once), as well as a way to "Force-Close All." "by the App Switcher to activate. Third Party Apps like Outlook have the option to unlock the app with either Touch ID or Face ID, but few Apple Tools allow this. For example, you can unlock notes in the Notes app and iWork documents using touch ID or face recognition, but that's about as good as it gets. Biometric unlocking and even unlocking passcodes for things like the "hidden" album in photos would actually make it something that could be called "hiding". This should be an option for all apps and even features in these apps.